What did your team learn about traffic management while racing at Interlagos and Suzuka, the two shortest tracks on the schedule? Marcus Hamilton, Thrustmaster Mivano Racing #3: I think we validated the whole “safe is fast” approach for these two races. In particular at Suzuka, there were many phases of the race where we sacrificed large amounts of time to be completely safe through the traffic. We’re very proud that we not only won but kept it clean in the hardest six hours of traffic management we’ve experienced. Simone Maria Marcenò, Logitech G Altus Esports #83: My thoughts are exactly same as Marcus Hamilton’s. Nick Rowland, Wyvern Racing #25: Marcus summed it up perfectly. The reality is safe is fast, but more than anything in a P1 car, we just need the other cars to be predictable and that’s it. Despite falling to second early at Suzuka, Mivano’s patience in traffic helped them recover to take the win. So what’s the verdict: should either of these circuits return in future NEO seasons? 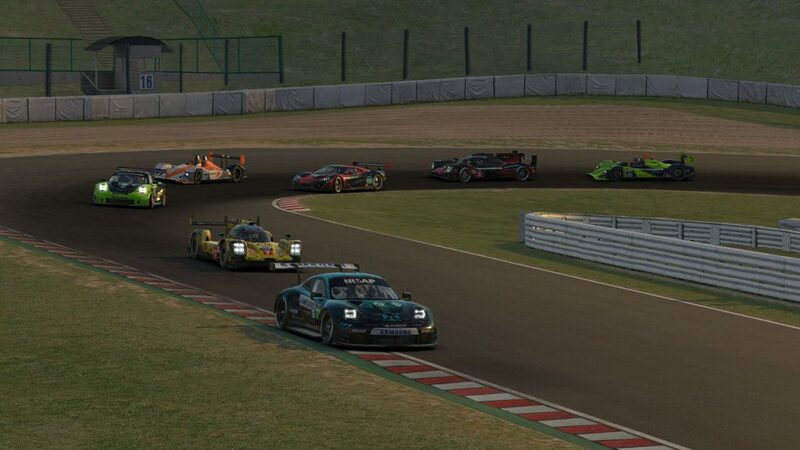 Joonas Vastamäki, Inertia SimRacing Corsac #59: Suzuka had nice flow once you learned the right spots to overtake. I personally think that Interlagos is a bit too short for a 55-car, three-class series, but either reducing the grid size or going to two classes would work much better. Marcus Hamilton, Thrustmaster Mivano Racing #3: Interlagos, despite being so short is pretty reasonable for multiclass traffic management, so I’d be happy to race on it again if it were selected. Suzuka on the other hand was just too extreme. It’s difficult to say exactly why as it’s a longer track, and whilst there are plenty of overtaking places, the track is too narrow to allow safe three-wide situations that frequently occur with three different classes. I don’t expect we’ll be returning to Suzuka anytime soon. 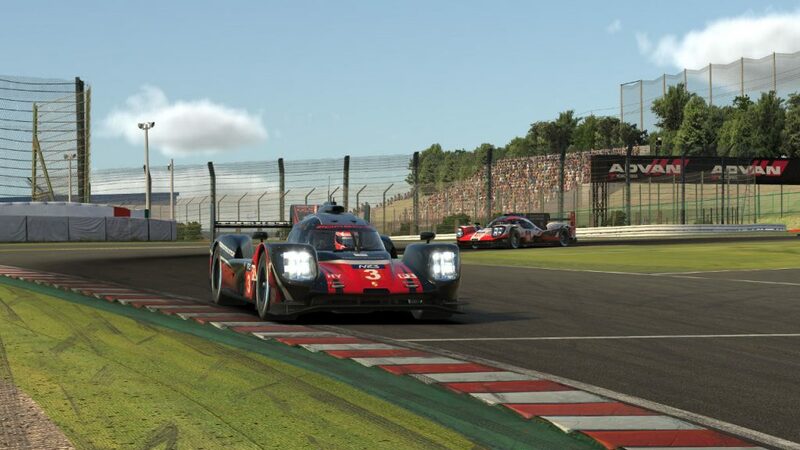 Nick Rowland, Wyvern Racing #25: I think Interlagos works well. It’s busy but it works and it isn’t too cluttered. Suzuka is different. A theory of mine says it’s because Suzuka is too narrow. Short tracks are fine but wide tracks really are best for multiclass racing. Simone Maria Marcenò, Logitech G Altus Esports #83: I think this year’s NEO schedule is the best overall season yet. Suzuka offered a tight track for negotiating traffic. 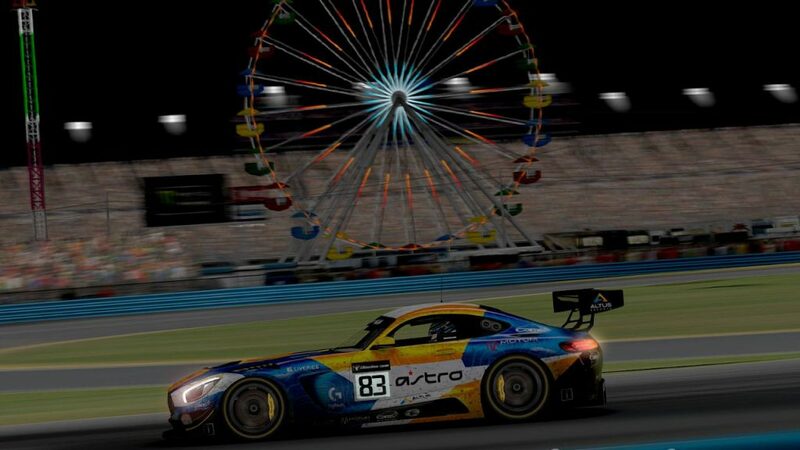 Did your team compete in last weekend’s Daytona 24? If so, how did you do and how was your first experience with a full 24-hour day-night cycle? Marcus Hamilton, Thrustmaster Mivano Racing #3: We did, and we were thrilled to finish runner-up overall. We had a team made up NEO regulars from our prototype and GT teams, and after a fairly clean day into night, we had Patrick Schneider do a monster six-hour stint to finish the race, taking us from fourth to second in the process. The overall experience was awesome and we’re very much looking forward to another full 24-hour day-night cycle at Le Mans. Nick Rowland, Wyvern Racing #25: Haha. The 1 pm start ended in a DNF. The 4 pm start ended in a DNF. I never got in the car once. Sad face. Simone Maria Marcenò, Logitech G Altus Esports #83: I raced in the GT3 class with ASTRO Gaming Altus Esports in the top split. We completed the hat trick for Altus with our third win together. The day-night transition was magical. Joonas Vastamäki, Inertia SimRacing Corsac #59: It was actually our second 24-hour race after the patch since we participated in Rengas Turku 24-hour race on January 12th. We finished P8 in the top split with our GTE entry. Daytona wasn’t difficult, but Rengas Turku was done at the Nordschleife and I’d say night stints were very interesting with very limited vision. 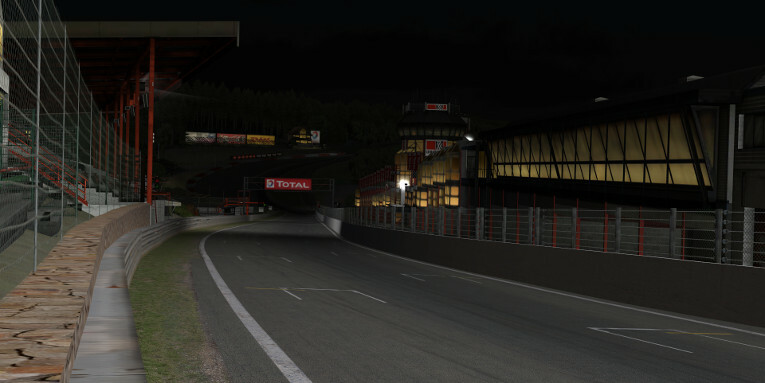 Each of the next two NEO races, at Spa and Le Mans, will be run partially at night. What are the challenges and advantages of night racing when it comes to factors like handling, visibility, and traffic? Nick Rowland, Wyvern Racing #25: I think changing tire pressures will help us deal with handling, the visibility will be constrained by the amount of illumination, and then finally it’s going to come down to awareness. Everything is heightened at night. Marcus Hamilton, Thrustmaster Mivano Racing #3: These are going to be true night races, where most of the track illumination only comes from the car lights, rather than track lighting. Handling won’t be so difficult to take care of, but there is a huge difference in visibility and navigating traffic at night, and this is going to be a pretty new experience to most people. As always, a bit more caution will be required, but it’s a challenge I’m sure we’ll revel in. Simone Maria Marcenò, Logitech G Altus Esports #83: Once again, my thoughts are exactly the same as what Marcus said. Great minds think alike!